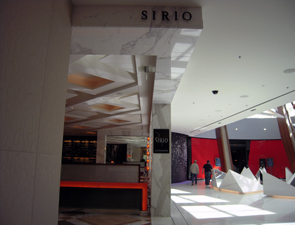 In the culinary world there is only one Sirio -- and that is Sirio Maccioni, creator of Le Cirque, one of New York's most prestigious restaurants. Host to New York high society since 1974, when the original Le Cirque opened, Maccioni expanded west to Las Vegas in 1998, when he opened a second Le Cirque, along with a second Osterio del Circo -- his other New York mainstay -- in the Bellagio. And now, he's expanded again with Sirio Ristorante, a rustic Tuscan restaurant designed by Adam Tihany, where Executive Chef Vincenzo Scarmiglia re-creates the dishes of Maccioni's Tuscan childhood, along with a slew of innovative new dishes. 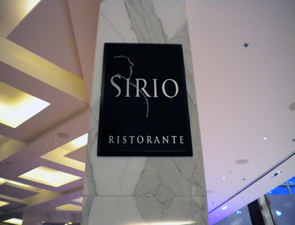 For a Tuscan meal that pairs Old World charm with New World twists, try Sirio -- where dinner doubles as a real-life La Dolce Vita!